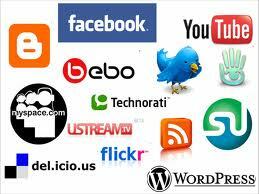 Mandyisms : Digital Social Networks over conventional publishing platform !! Facebook, Twitter, Linked in, Google Plus, Orkut, etc. There is a process of moderation happening through proof reading, validation of the content. Anyone can publish subject to the person have access to a computer, a Tablet or a Smartphone connected to the internet. If we don't do that we will be just using the flip side of this immense power and make people who want to regulate Social Networks stronger.